"The ideal candidate is a Digital Marketing Strategist with top eCommerce digital marketing technical skills and experience who will direct and oversea the brands strategic/long term and tactical/short term eCommerce goals. have full-scale responsibility of the business’s Digital Marketing and Online strategy, planning and execution - concept to completion for the multi-category e- Commerce businesses. He must be able to effectively grow business success and has thriving track record in results-driven marketing and partnering with external and internal teams to drive growth in the eCommerce in the region." Driving eCommerce KPIs: He/she will work to set, monitor and achieve/exceed all key sales and eCommerce KPIs for the business. Managing the Digital Marketing Budget smartly, cost efficiently and profitably. Establish and build the Digital Marketing Function. Hire and manage the team wisely & the workflow effectively. Ensuring a leading position and performance for our brand across channels. Ensures intelligent, adequate and timely reporting against KPIs and profit goals as well as eCommerce specific KPIs and ROI targets. Measuring & reporting on the performance of all digital marketing campaigns, analyses data to optimize the digital strategy, identifying opportunities & conducting testing across all channels. Collaborate with networks, agencies and other vendor partners to achieve goals. - Experience: 6-8 years management and eCommerce/digital experience in an ecommerce business. Exceptional management skills (Project Management, Time Management, Team Management). She/He can lead teams, and process, react to, and solve problems in a timely manner as they arise. Data driven, and numbers oriented. Experience in customer recruitment and retention. • Social Media Marketing: Youtube, Twitter, Instagram, Snapchat, Facebook etc. 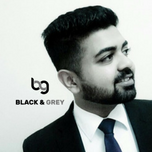 At Black & Grey, we connect high potential young talent and experienced game-changers to great businesses in the Middle East. This is what we do best! We believe most human resource issues are not black-&-white; people have wonderful variables and aspirations at every stage of their career. To strike the right balance and effectively manage the grey areas of HR, we invest time and effort to understand our client’s and candidate's exact needs and deliver the right solutions using insights, intellect and a lot of compassion. Talk to us today to take the next step in fulfilling your professional goals.